When #TREETUESDAY is mentioned or talked about, all that comes to mind is probably a tree with its green blooming foliage, the life the tree portrays, the energy with which it swings its branches, the shade it provides, and even the fruits we get off it. But today lets look at another kind of tree!!!! In my view, YES. A tree is still a tree. But the question is is this tree still relevant to its full purpose? Like the tree whose leaves are gone, you may be the missing your purpose of being the spark of life in someone's situation. Like the tree those shade is no more, you may be missing your purpose of being the encouragement someone needs to be able to pursue his dreams. Like the tree which has no fruits, you may be missing your purpose of making positive changes in the community in which you find yourself. This is a call to action an call to look at our lives in retrospect and figure out all that it is we are doing or not doing that is affecting our lives and that of the people around us either positively or negatively. Quite a deep analysis of the human condition. I applaud your introspection. ¡Hola! ¿Como estas? reestimed tu post, gusto de saludarte. Estas son algunas de mis publicaciones. Interesting way of looking at Tree Tuesday. It brings the forefront of the mind the need to accomplish our purpose in the world. It's not only about personal success, it's about rightly affecting our environment. In regards to the metaphor, life is seasonal. When we pour into other people, very often we expend ourselves, our leaves fall off. But what happens when leaves fall from a tree? The nitrogen from the leaves falls into the soil, decomposes, and allows for nutrient regeneration in the soil, or in other words, benefits the soil. Yes, the tree loses its leaves, but the soil benefits, going back to the analogy, the people around us our benefitted. 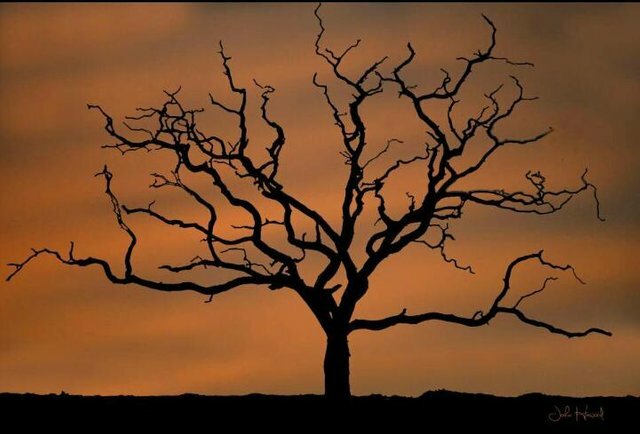 Now if we as trees, try to help more people, when we have no leaves left, we'll become frustrated, and even more worn out. What we need is rest, and after the season of rest, comes spring, comes the budding of the leaves. To rest is just as important as the giving. Great post. I love analogies.